BrightEdge is an enterprise-level SEO platform that enables users to measure real-time digital content engagement. Its features include AI-powered data gathering and analytics on multiple channels such as search, social, and mobile. In this article, we cover user reviews. Ready to try BrightEdge? Request for a demo. Users who gave BrightEdge a positive review said that it has given their websites an edge over their competitors — especially with the use of features like ContentIQ and automated recommendations. Some of them also commended the excellent customer support team. 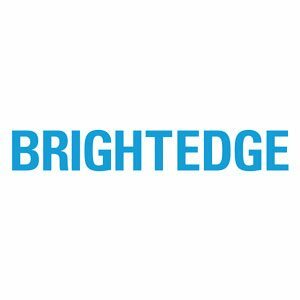 Users who gave BrightEdge a negative review said that the AI element of the software doesn’t always provide accurate and actionable insights. Some of them also said that the pricing is too steep for what the software can offer. BrightEdge’s rates are not published online. Pricing for similar software and services range from $0 to $500/month for small to medium scale SEO, and $700 up to $2,000+/month for larger scale SEO. Total cost depends on the number of tools offered and how extensive the services are. Ready to try out BrightEdge? Request for a demo. 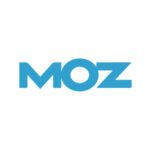 Best SEO Software For Small Businesses — In this guide, we compared Web CEO, WooRank, and Rank Ranger to give you an idea of which SEO software would best suit your needs in terms of features, pricing, and ease of use. 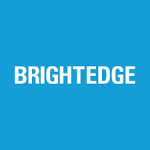 Where in the website content optimization lifecycle does BrightEdge come in? 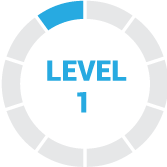 BrightEdge users can leverage on the platform throughout the entire content lifecycle: from assessing and discovering demand, to creating optimized content, all the way to measuring and testing results before making any necessary improvements. Can BrightEdge help users identify their most direct key topic competitors? Yes. BrightEdge has a feature called Share of Voice (SOV) which identifies competitive URLs and inspects their content to win back the SERP (search engine results pages) real estate. Not sure if BrightEdge is the right fit for you? Read our reviews of all top SEO service providers or check out one of these three BrightEdge alternatives. Customer support is amazing. It’s like having a full time dedicated employee from BrightEdge working with us. Our support professional is knowledgeable and available almost at any time night or day. Pricing is high. There are comparable services that offer similar insights and reports. BrightEdge’s platform is more robust and it uses a bigger/better database of indexed search terms. That said, it is difficult to justify passing through the costs to small and medium advertisers when less expensive resources provide relatively comparable data. Nothing. 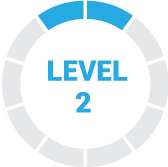 The sales process was thorough and the training and ongoing support have been excellent. BrightEdge is a great company. They have good customer service and a good product overall. The datacube is super helpful. They are really good at reaching out and communicating, and updating us with new features they have rolled out / are testing. They are good partners and we enjoy working with them. Their product is expensive and the set up and maintenance required to actually use this product + get the benefits could be a full time job in itself. The company is great about communication. Our rep reaches out every month to make sure we have all the tools we need to succeed. They are also very helpful when you have questions or need help setting up things within the platform. They troubleshoot quickly, as well. The tutorials are a little confusing and the “How-Tos” use a lot of jargon, making them hard to understand. Without the extensive help of our BrightEdge rep, we probably would not understand the full capabilities of the platform. There is a lot more explaining that could go into the platform to make it easier for the average user. The platform was purchased by a client and we were asked to manage it. I had very little background knowledge on BrightEdge prior to this, so I think I would have just preferred to understand it a little better beforehand. Like all rich platforms, you’ll get out of it what you put in. The user interface is simple and easy to use; but in order to leverage the advanced features (which are super powerful), you’ll need to invest a little in training. We’ve found their online training videos to be great resources. In the event that you may need hands on training, their team has been excellent to work with. BrightEdge is good with data integrity. The data is reliable, and presentable to executive-level contacts. The company is overpriced and doesn’t offer enough features compared to competing products to justify the price. It’s data cube feature is nice, but also similar to something I can get out of a standalone product like SEMRush. I usually work with BrightEdge when a client chooses to work with BrightEdge. BrightEdge has some of it’s own metrics, like blended rank, which might make it difficult to move to another metric. So before using BrightEdge, that is something that someone should be aware of.